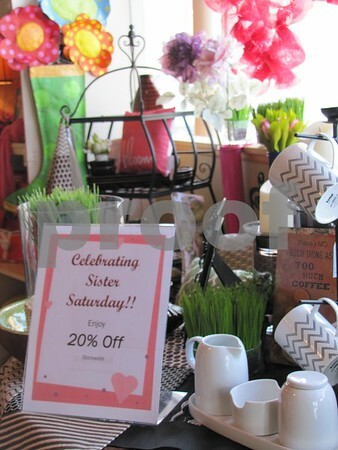 Select stores participated in a 'Sister Saturday' shopping event. 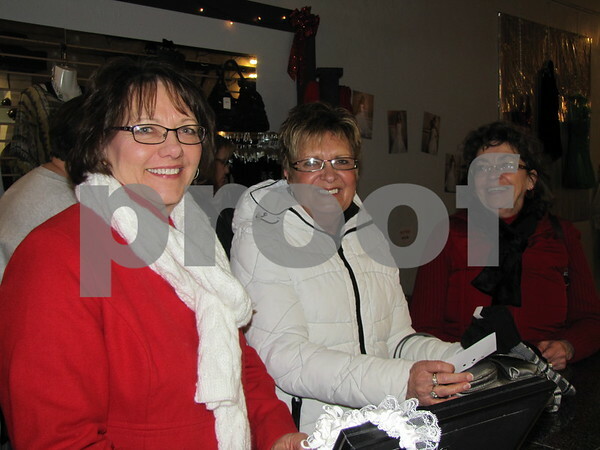 Shoppers who had their 'pass' stamped at each participating store were entered into a drawing for prizes. 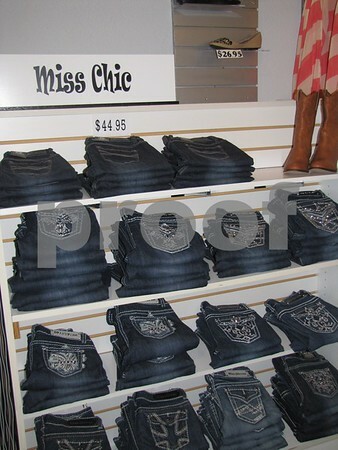 Each store offered 20% off merchandise as well. 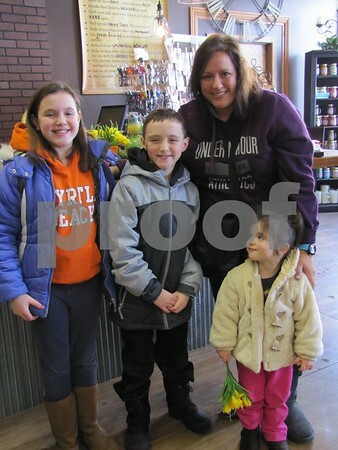 Casey Miller with her children Gracie, Drayton, and Brogan enjoy shopping together at Real Deals. 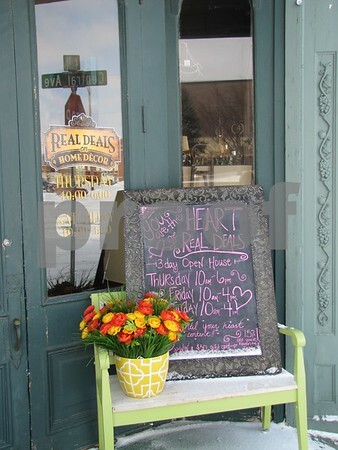 Outside Real Deals in downtown Fort Dodge. 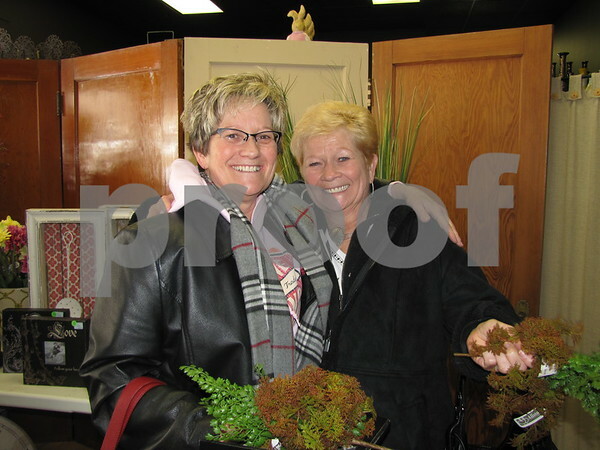 Sisters Betty Ann Schmitz of Boone and Bonnie F. Miller of Fort Dodge got together for a fun day of shopping on Sisters Saturday. 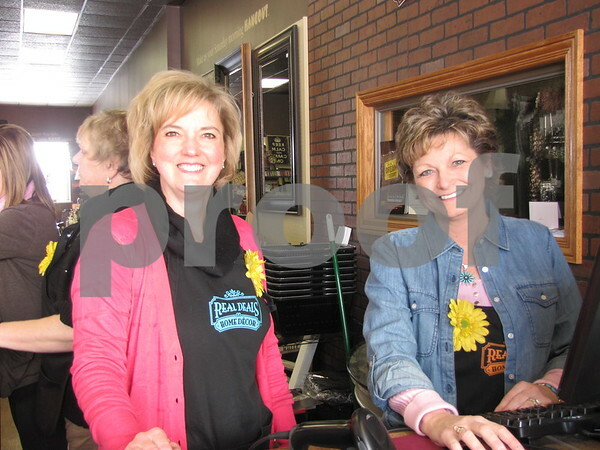 Janelle Houtz and Shawn Portz of 'Real Deals' in downtown Fort Dodge. 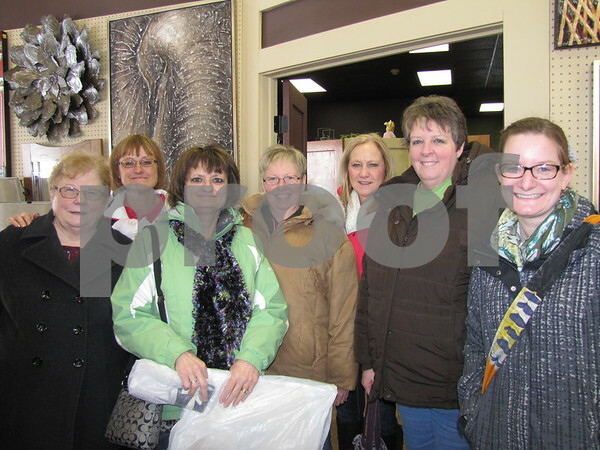 This group of ladies were shopping the Sisters Saturday's bargains throughout downtown Fort Dodge. 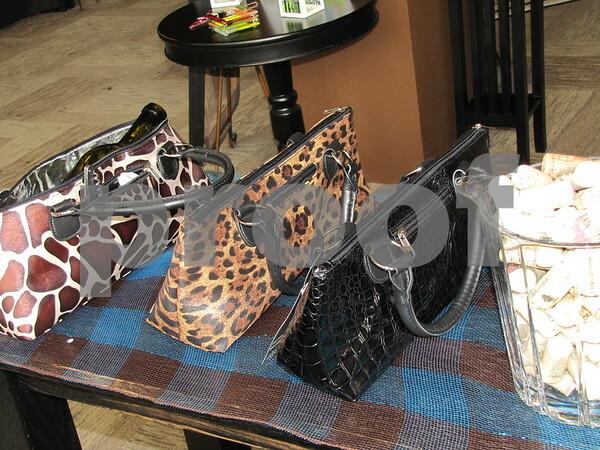 They are Pat Scheer, LuAnn Niemand, Lynette Niemand, Diana Brehm, Cleo Abel, Ann Machovec, and Jennie Douglas. 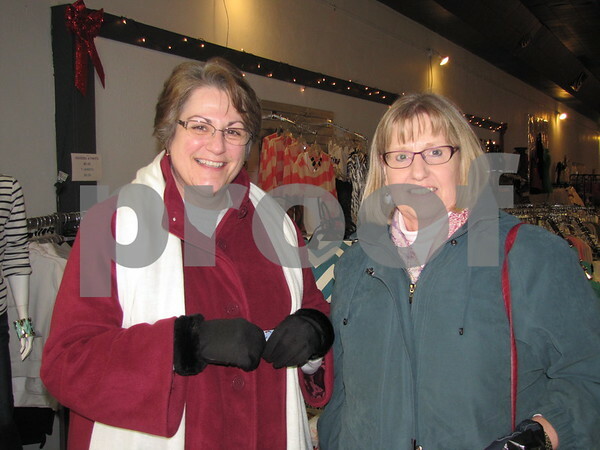 Susan Busch, Donna Siemer, and Merrily Dixon shopping on Sister Saturday. 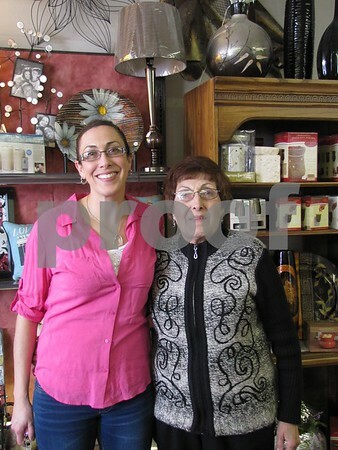 Janet Simmons and Glenda Juilfs shopping on Sister Saturday. 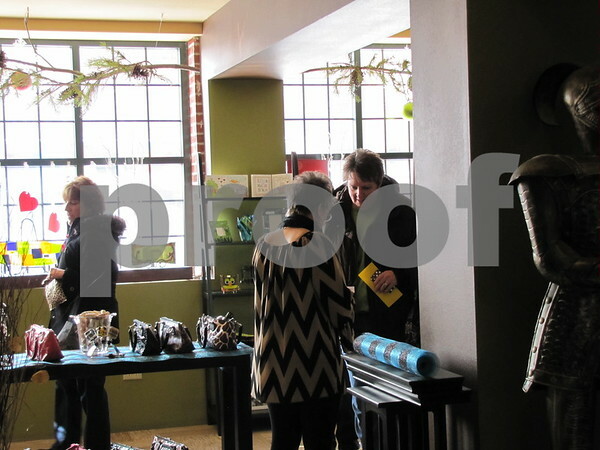 '2 Be Trendy' in downtown Fort Dodge. 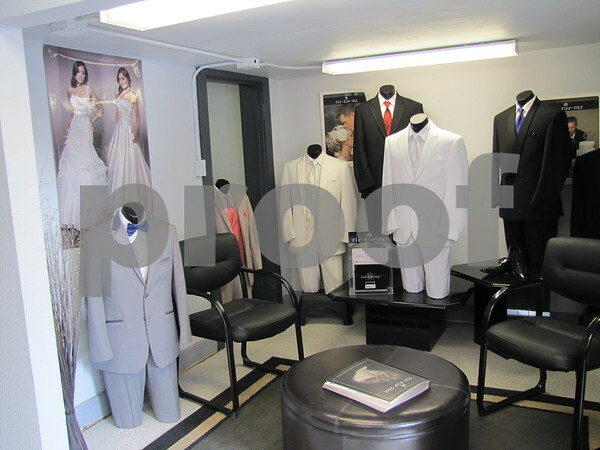 '2 Be Trendy' features formal wear for men and women, and many of the lastest fashions for everyday and dress. 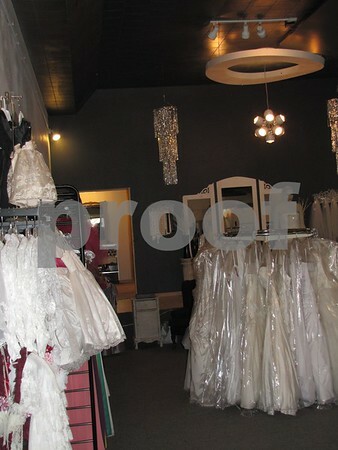 This store is in one of Fort Dodge's old movie theaters. 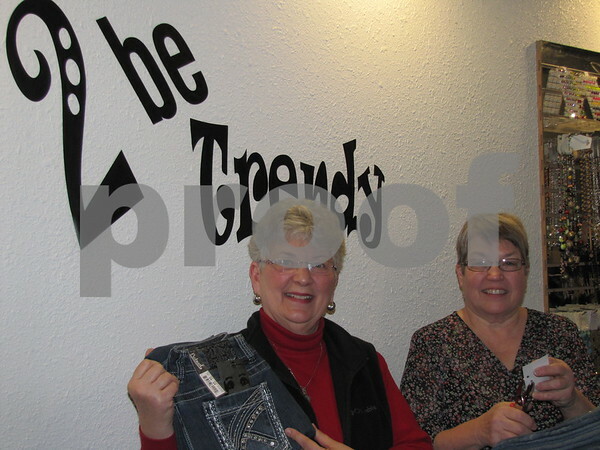 Ann McBride and Marsha Mullins of '2 Be Trendy' in downtown Fort Dodge. 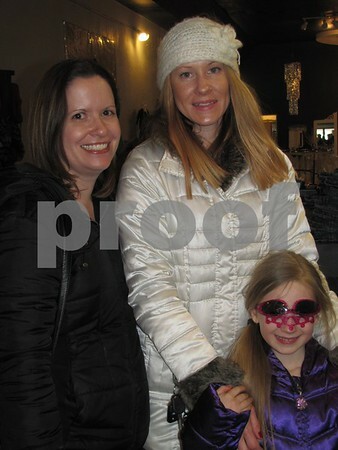 Tina Moneck and Angie Benning with Lucy Burch modeling some fun sun glasses she found while shopping at '2 Be Trendy'. 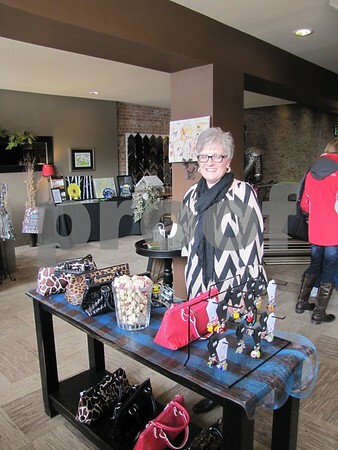 Jan Dencklau, owner of Design Two, participated in the Sister Saturday event. 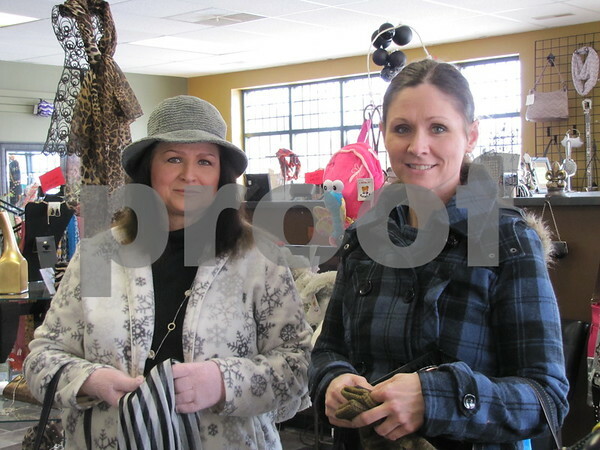 Mary Kay Daniel, owner of 'Mary Kay's Gifts and Interiors' and her mother, Margo Daniel pose between helping customers at the Sister Saturday event. 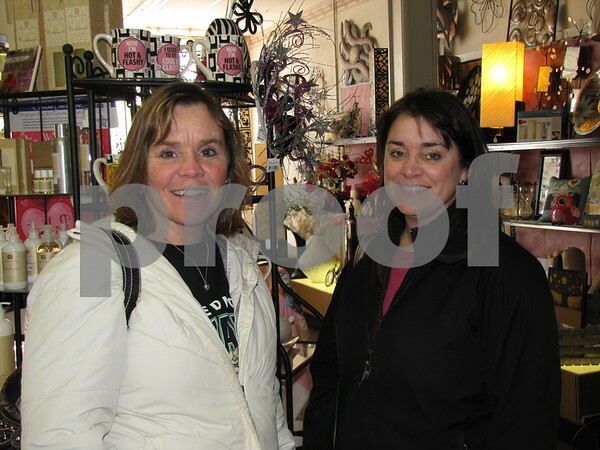 Sheila Huebsch and Ann Barkley shopped during Sister Saturday in downtown Fort Dodge. 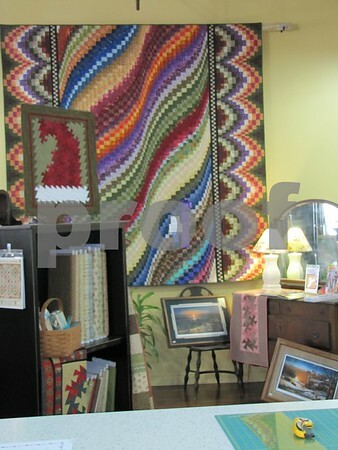 One of the beautiful quilts on display at 'Tillies Quilts'. 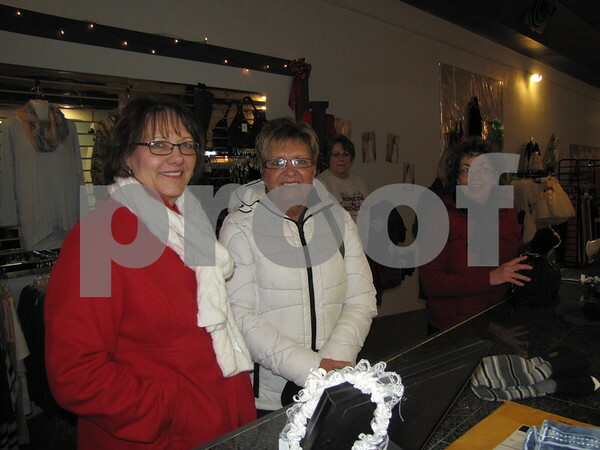 Sigourney Seltz rings up a purchase for Hannah Peterson at 'Tillies Quilts' in downtown Fort Dodge. 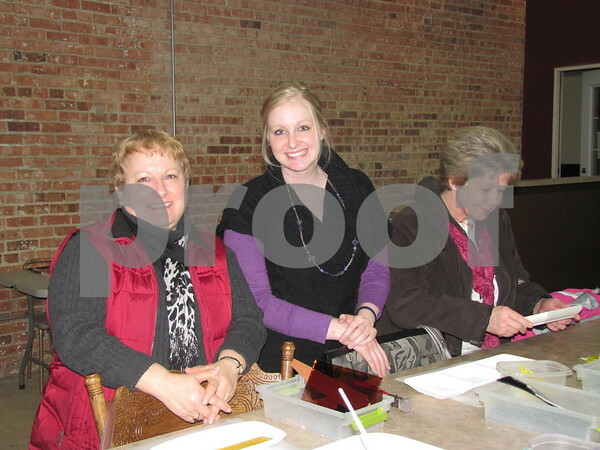 Skeeter Fuller is shown working on her project in the sewing area at 'Tillies Quilts' during Sister Saturday. 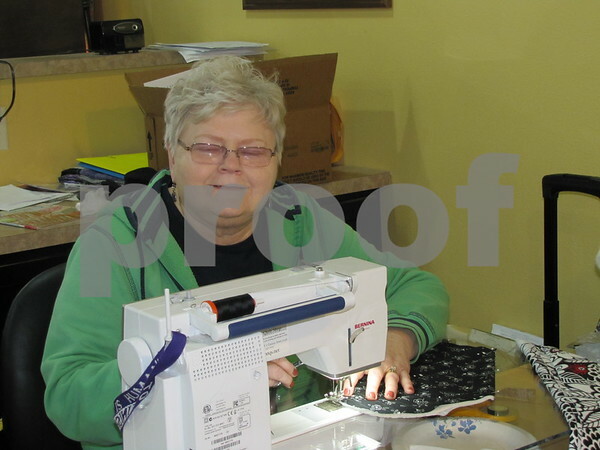 Mary Meyer enjoyed the afternoon sewing in the sewing room at 'Tillies Quilts' during Sister Saturday. 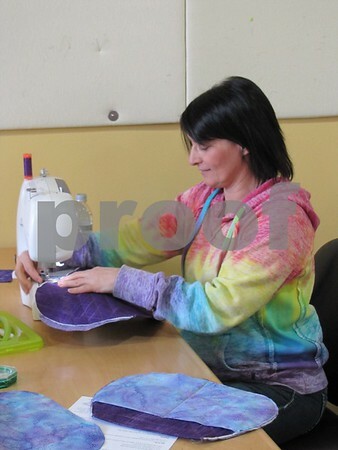 Diane Lehman working on a project in the sewing room at 'Tillies Quilts'. 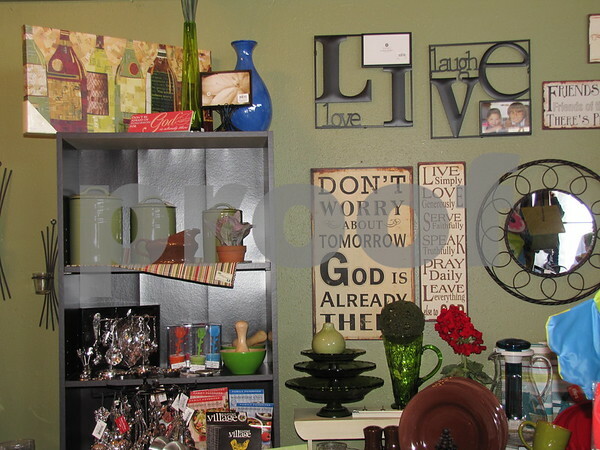 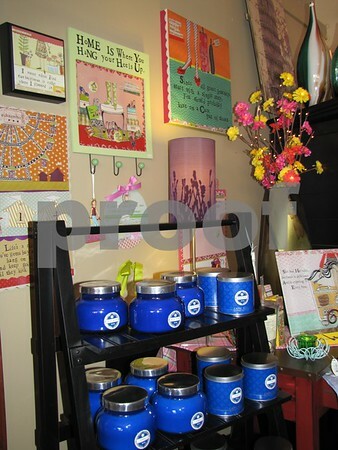 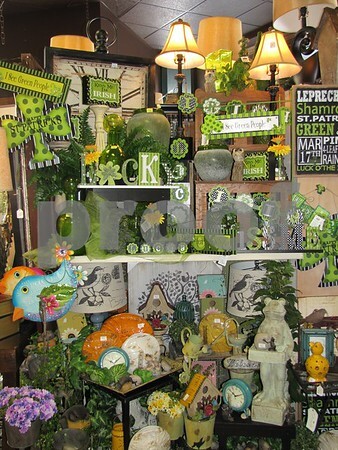 Lehman has several beautiful, completed projects on display in the store. 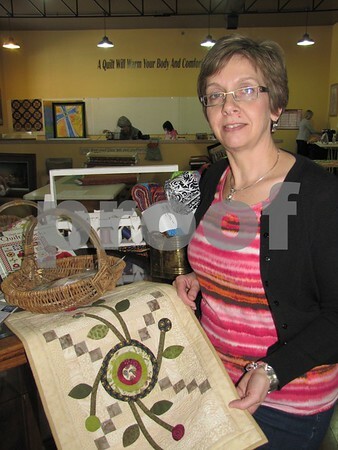 Jo Seltz, owner of 'Tillies Quilts', shows a small appliqued project she used for demonstration for a class. 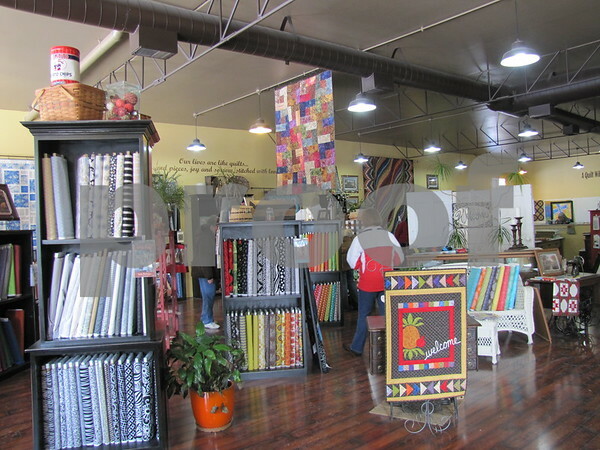 The store offers many quilting classes. 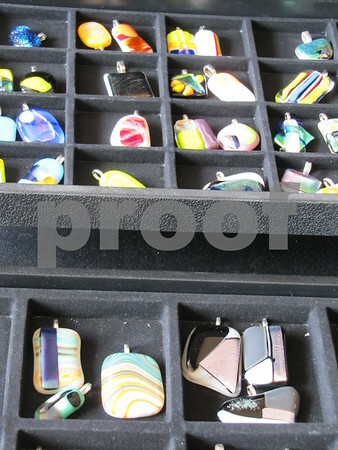 Deb Kurtz, Kristi May, and Deb May were creating glass projects to be fused into works of art at 'Studio Fusion'. 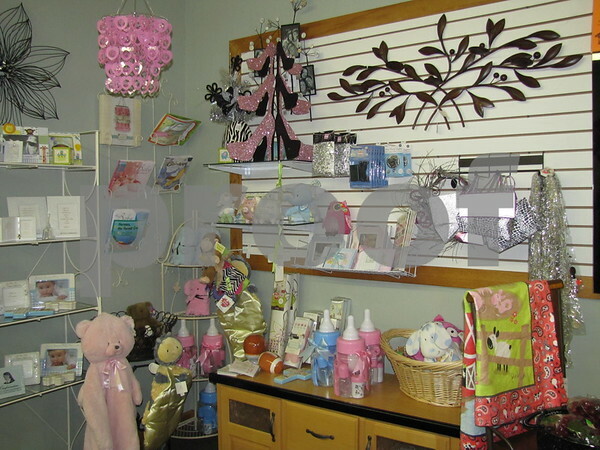 The business offers many kinds of classes, and welcomes and encourages walk-ins also. 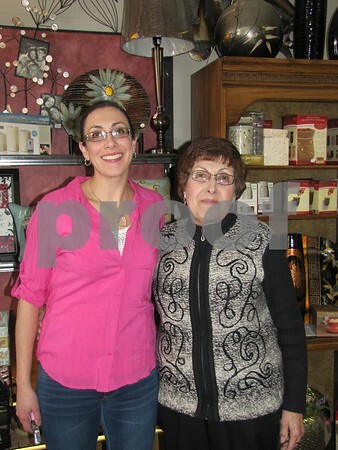 Jill Bush, owner of 'Xessorize' with her son Alex. 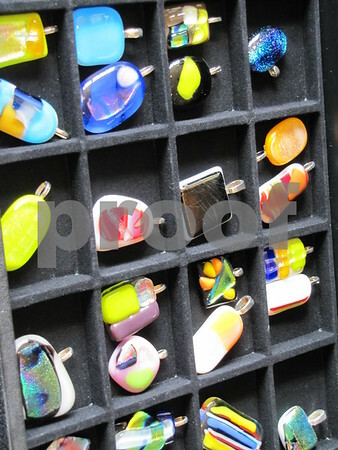 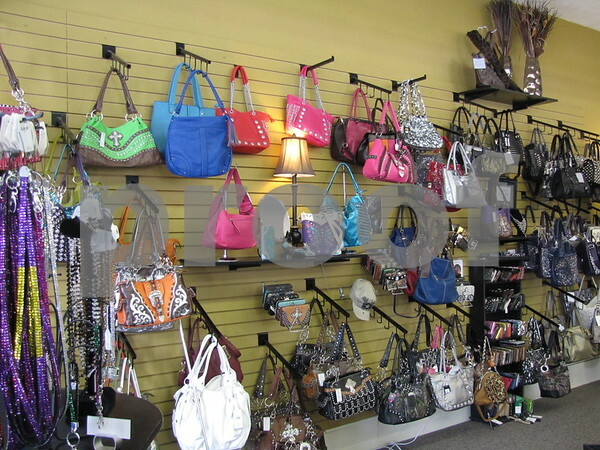 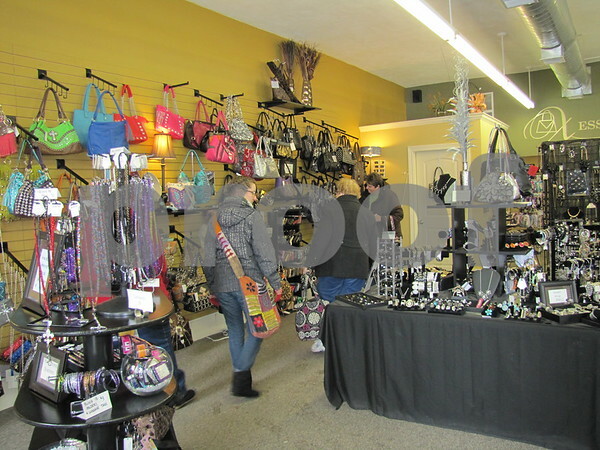 The store features jewelry, scarves, purses, and more. 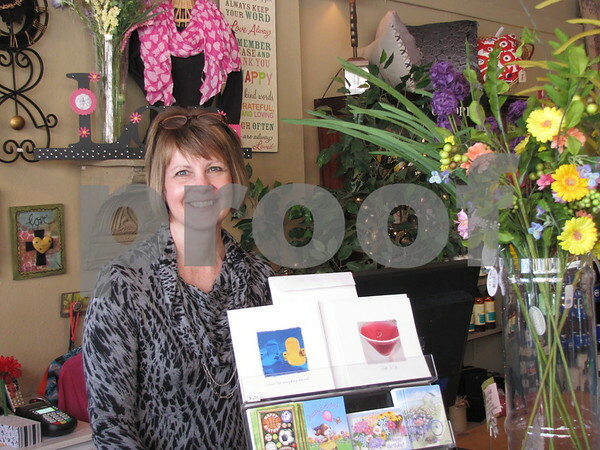 Shari Burke, owner of 'Studio Fusion' in the showroom of merchandise that is offered in addition to the glass fusion studio. 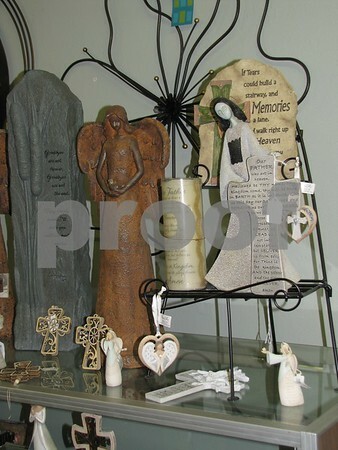 She offers many classes as well as individual instruction for that one of a kind gift. 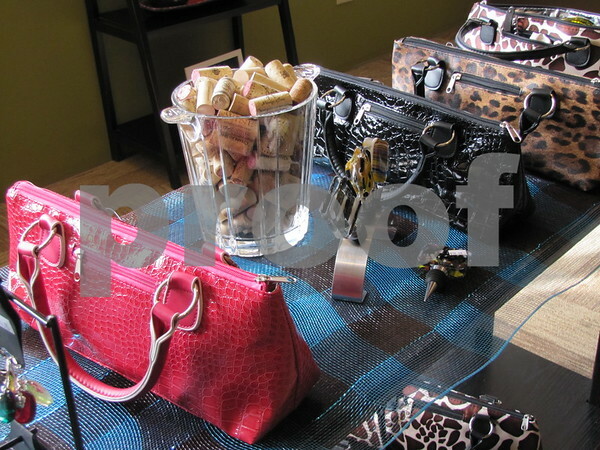 'Studio Fusion' wine bottle bags. 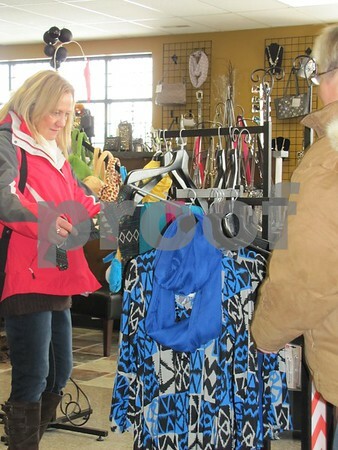 Carolyn Davis and Justine Lee shopping at 'Xessorize' in downtown Fort Dodge. 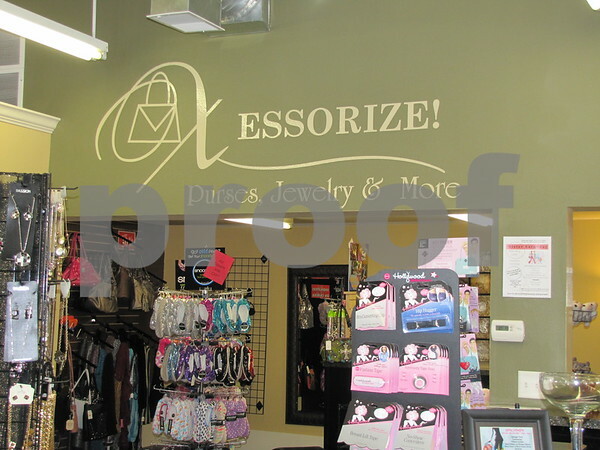 'Xessorize' in downtown Fort Dodge.